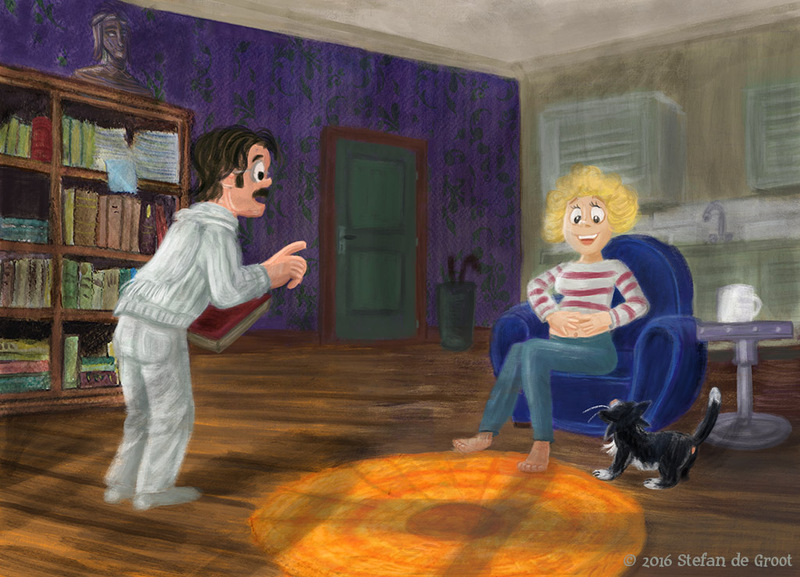 Apple Pencil Children’s Book Illustration. 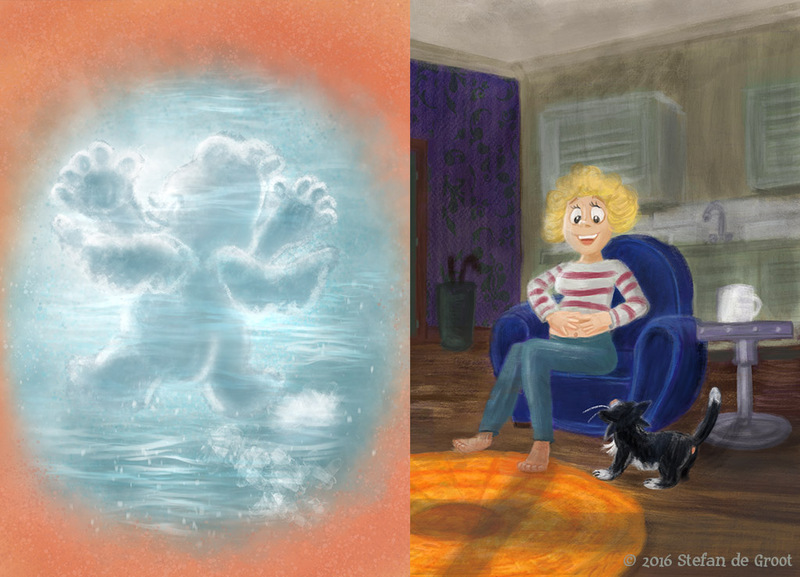 How to use Apple Pencil to draw and paint a Children’s Book. I have been working on a new Children’s book for over a year now. I started out drawing it on paper with pastels and watercolor. Until I discovered a great brush in the drawing app Procreate. I integrated the illustrations I made on paper and painted over them with the Apple Pencil in Procreate. 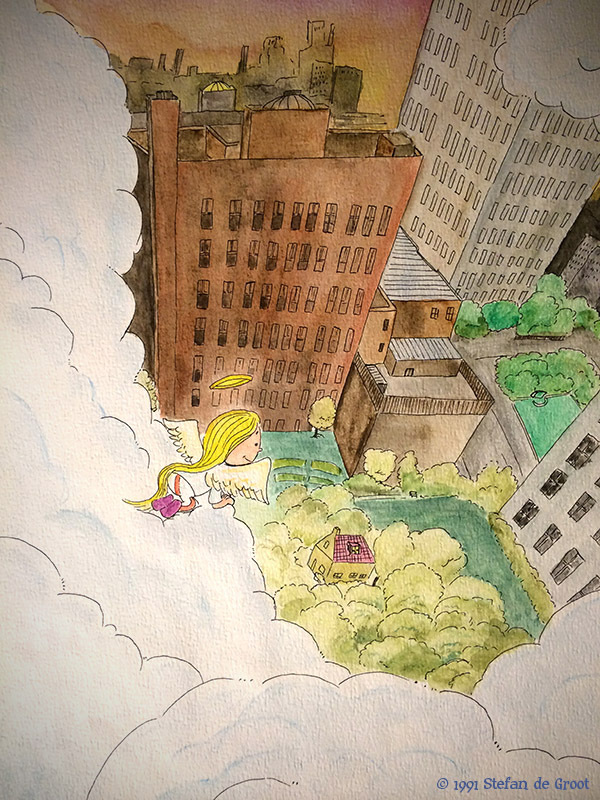 In this video you see the progression of two pages of a Children’s Book about an angel. How I approach my drawing and use Apple Pencil and the Procreate app to draw and paint in a painterly fashion. The illustrations changed a lot. I had to find the right illustration that supported the story. This is a story about an angel searching for its mother. I started doing this story 25 years ago but never completed the story. I drew very different back then. In a different style and still on paper. The illustrations were very literal. But I wanted to approach it in a different way now. It is a very sensitive an metaphorical story. I decided that the angel would be made up by clouds. I tried out different techniques, like taking pictures of cotton balls and try to shape them like an angel. Then I rediscovered pastels. 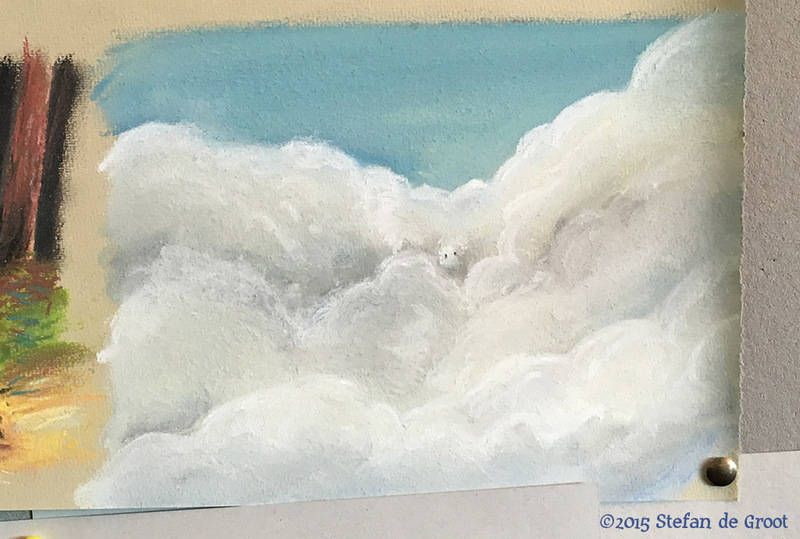 I made a quick study of some clouds on pastel paper and showed it to the author of the story. It was the beginning of a new journey of discovering new ways to tell the story. In the video above the illustration becomes more literal, because the cloudy angel has descended into the real world. These two pages show the transition of the angel becoming a baby and the reaction of the mother. The two pages changed a lot. The first attempt was to show the baby inside the mothers belly. But the change was to sudden and literal. It looked to much like a baby. Then I got inspiration from looking at a lava lamp. When you look at it you see figures and shapes appear. The same as you are watching clouds. I made a movie of the lava lamp with my iPhone for reference. I liked the lighting and round shapes of the lava lamp. When I looked at all of the other pages of the book, I discovered that all of the pages are spreads. So I decided to make these to pages also a spread. 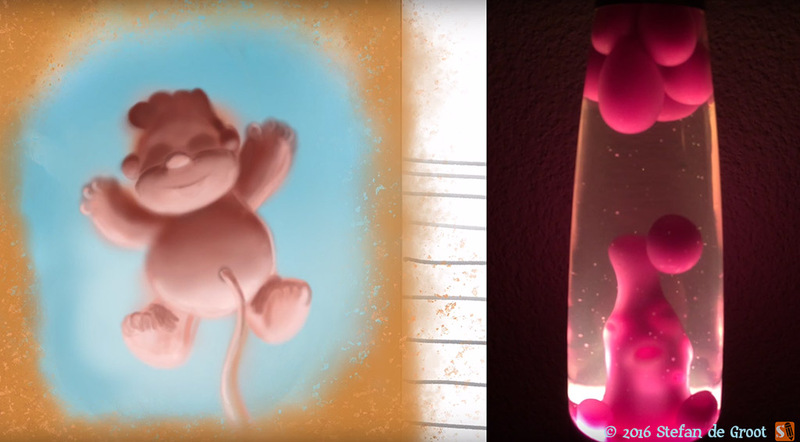 I discarded the idea of the lava lamp baby and painted over it in a different layer. I copied some parts of the pages before. Part of the illustration was drawn on paper and I integrated that into the digital drawing in Procreate. The illustrations are a hybrid of analog paintings and digital paintings in the Procreate app. Ever since the Apple Pencil it has become much easier to paint very subtle. Especially the marriage between Apple Pencil, the iPad Pro and the Procreate app is a merry one! At first I made some sketches of the mother before I started painting. That is the way I am used to approach my drawings. But I wanted to change that. So I started painting with the Apple Pencil and discover what happened next. I was happy with the end result and send it to the author. He liked the illustrations but it did not totally represent the text. So it was back to the drawing board (iPad Pro) again. I gave up the idea of making the entire children’s book of spreads and sacrificed it to let the story lead. Illustrations have to tell the same story and have to enhance it. I painted the left page again and started out with the initial idea I had of the lava baby. But that did not work. I saved the transition of the cloud (air) into a baby of water and earth to the last pages. I tried out some other ideas of the baby inside the belly and the cloud angel flying into the belly, but that did not reflect the text and story. Then I painted the Angel inside the belly of the mother as a cloud and embracing the belly and made the final illustration. Creativity takes time. Sometimes it just flows and at other times you need to explore to come up with better ideas.